BE A PART OF THE WIRE DREAM CRUISE! We're hosting an information session at Butter Projects presented by Chido Johnson. Come learn how to make a wire car for you to cruise on Woodward in front of the DIA. The cars will be documented cruising to the formation of Detroit's version of Soul-Train, the Scene and will be shown during the Art X Kresge Fellows exhibit in April. 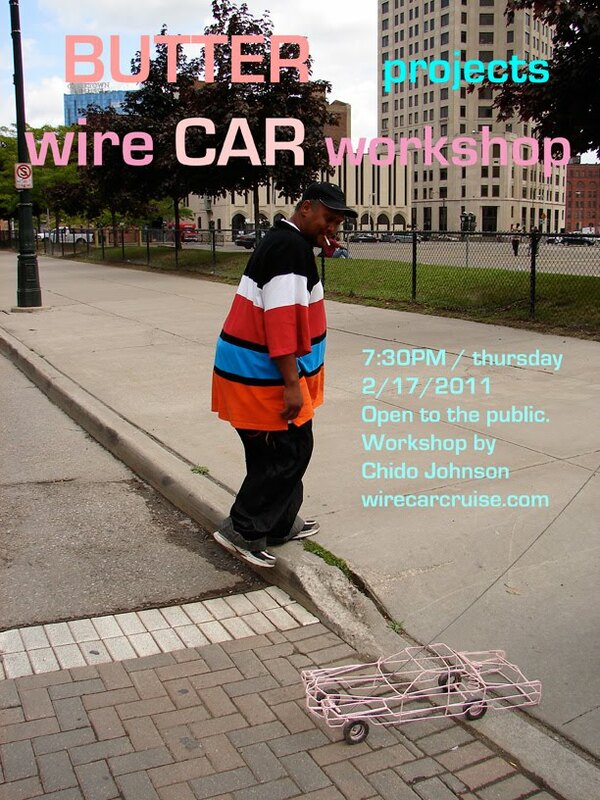 Each wire car manufacturer will receive a copy of the video and raw footage of their moment in the cruise.